Summer has arrived with its own fun, colors and happening and now already going towards fall. A very little time left to wear warm clothes and snuggled up in blanket with a warm cuppa, mystic brown or bronze eyes, deep berry lips. Summer makes everything bright and beautiful, hence I've decided to put on bright colors and dedicated it one of the colorful days of beautiful and bright summer. 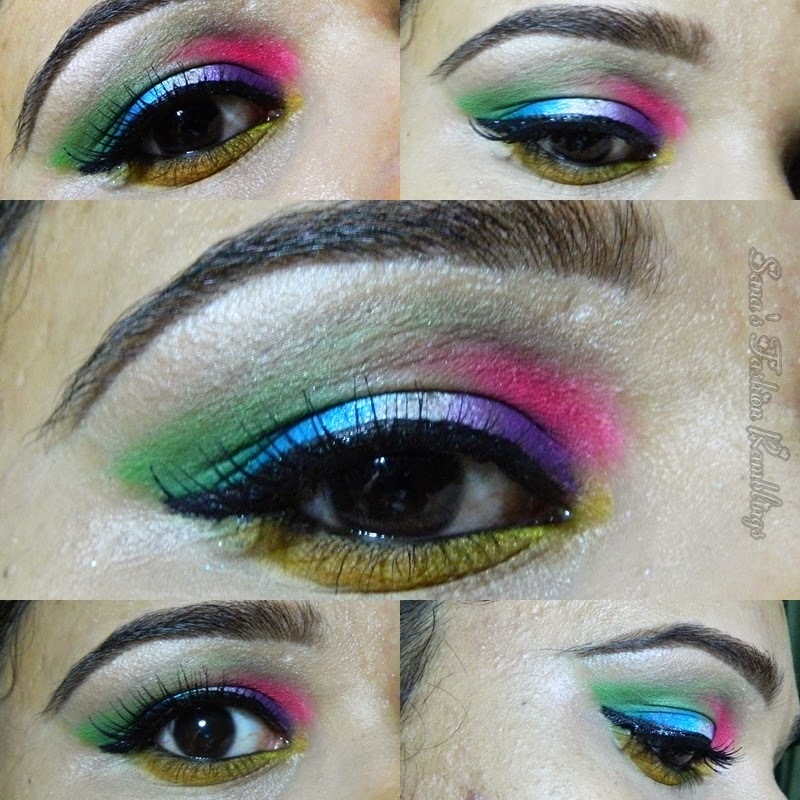 I love the idea of playing with bright colors that was, I should say the idea was totally hideous to me by putting such colors on eyes but something struck and I decided to to do it. I don't have completely flawless skin but somehow I loved the outcome. Anastasia Beverly Hills Dip Brow Pomade in Medium Brown. 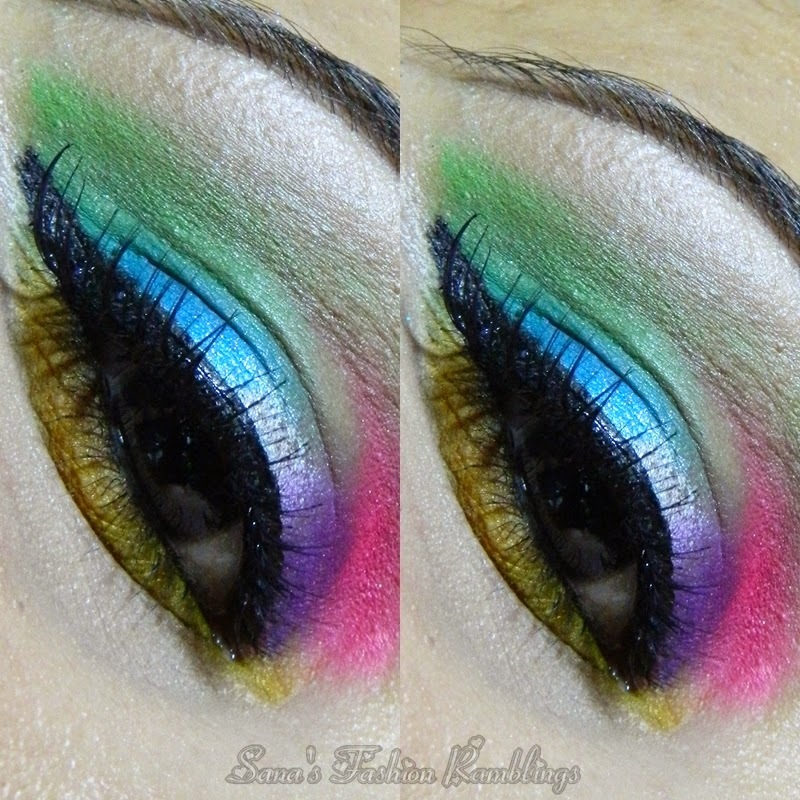 53 comments on "Bright And Beautiful [EOTD] "
Lovely make up! So original! Wow! I could never pull off all those colours! What a precious eyes with such awesome color shades - Good experiment! Wow you're eye makeup looks amazing! I love colorful makeup!! This is really pretty and has all the colours possible!!! This is a lovely look! :) Nice play with such vibrant shades! What a pretty look, it really makes your eyes stand out. Such a bright look! I love it! Urban Decay's primer potion is definitely the best to use for bold looks like these, hands down! GIG Love! I think this has too much colors for my taste, but perhaps for a themed party? beautiful colours dear!! i love how you incoporate the green in it! Love the Bright colours harmoniously blended! They look fab!! This look is so unique! Unfortunately, I am not near skilled enough to do it or pull it off! But it looks amaze on you! Wow, I've always wanted to do makeup like that but never managed to learn how to . So stunning! You are really skilled in popping out these bright and colorful colors. Thumbs up! 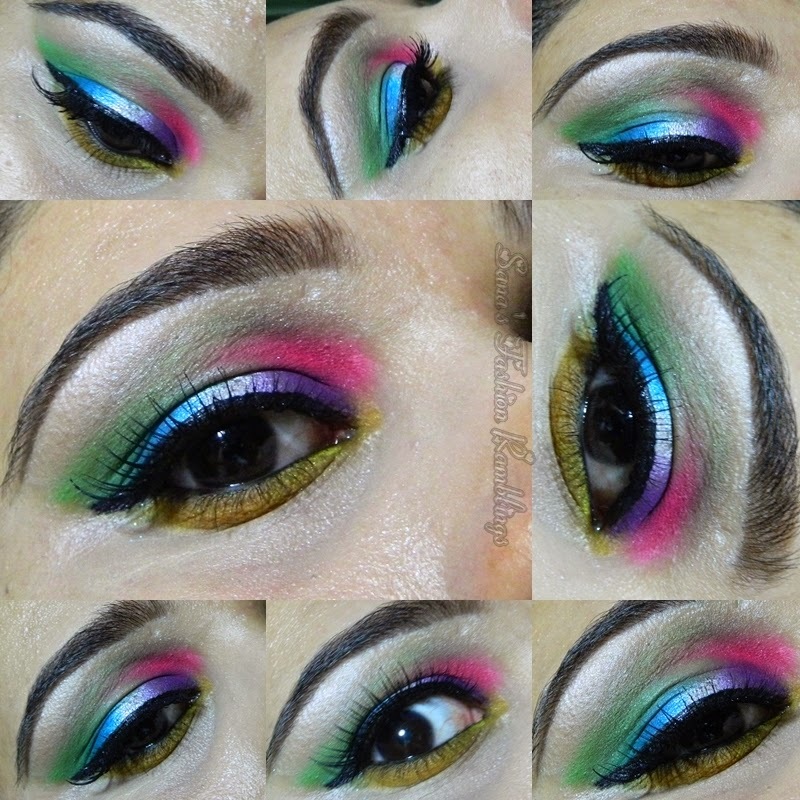 Just Love the way You put colours on your eyes <3 Perfect for winning a Party!!! I loved this eye make up. Though I may not try it on myself. It's definately eye-catching. I love bright colours too. I really like the eye makeup. Wow amazing look great..EOTD..:) look so unique. Killing look... Just love the make up done...i wish i can do the same. Share videos also please. Looks great! I'd like to try this myself. O my Goodness.. I always want to pull off something like this. But ended up with something not as vibrant as this. How can you make it so vibrant and turn out the true color of it? Beautiful pics..
Gorgeous Eyes Make up. will try myself to this kind of make up. Such a creative and talented makeup artist. I have never seen anything like this before. Truly beautiful. hope that someday i will get this look. trying also.